Newcastle Falcons’ club captain and member of the Rugby Players’ Association (RPA), Will Welch, swapped his playing kit for academic robes this week as he joined the latest graduate cohort at Northumbria University, Newcastle. 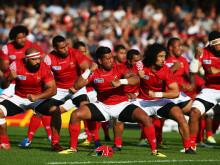 Excitement builds ahead of the Tongan rugby invasion! Student teams from Northumbria University’s Newcastle Business School have presented marketing plans to the region’s media on how to capitalise upon the success of hosting the Rugby World Cup within the region and create a lasting legacy. 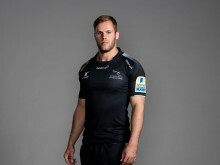 Northumbria students invited to train with Rugby World Cup team! ​Northumbria University students have had the opportunity of a lifetime after being invited to train alongside the Tongan Rugby World Cup team. Northumbria University is excitedly preparing for the arrival of the Tongan national rugby team who will be using the University’s sports facilities before their Rugby World Cup match in Newcastle. 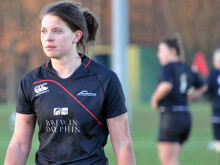 Two Northumbria University rugby teammates could find themselves on opposite sides of the scrum this weekend as they each represent their country in the Six Nations. Team Northumbria’s battle to retain the cup! Northumbria University has been confirmed as the UK training base for the Tongan national team during the 2015 Rugby World Cup.